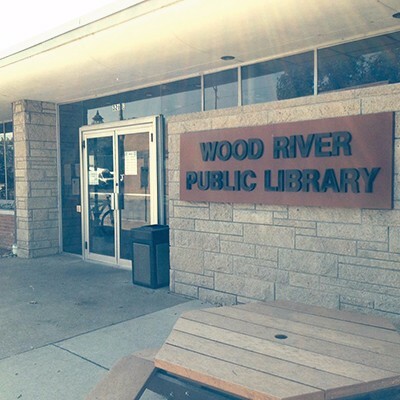 The mission of the Wood River Public Library is to bring the people and the resources of the library together in order to enhance the lives of individuals and the community as a whole. 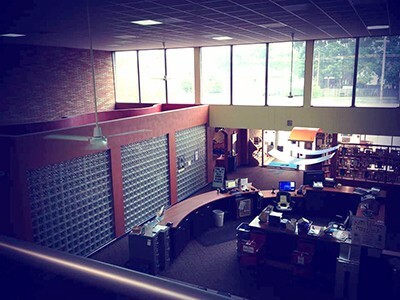 The library provides access to materials and services to help community residents obtain information meeting their personal, educational and professional interests and needs. The library is a member of the Illinois Heartland Library System (IHLS) and Sharing Heartland's Available Resources Equally (SHARE) automated consortium. Materials in a variety of formats: Books, DVDs, Audiobooks, music CDs, and more! Access to the holdings of over 400 libraries in Illinois through SHARE, and even more libraries through WorldCat Interlibrary Loan. 13 patron computers with internet access and Microsoft Word. Reference service for your informational needs. Free Notary Public Service & Voter Registration Service. Access to online resources including e-books, digital magazines, and informational databases. Four monthly programs for youth of all ages, from babies and toddlers to young adults. Regularly scheduled programming for adults, including a book club and computer classes. The Library is located at 326 E. Ferguson and is open Monday through Thursday 9:30am to 8:00pm, Friday and Saturday 9:30am to 5:00pm, Sunday 12:30pm to 4:00pm. For more information, please contact Library staff at (618) 254-4832. Or you can visit the Wood River Public Library website.